H‌.W. Gottschalk GmbH Tiefbau, a civil engineering contractor based in the town of Heinsberg, Germany, looks back on a 50-year heritage. 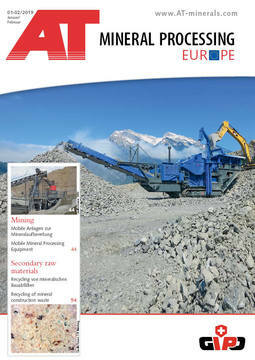 With just under 60 employees, the company, now managed in the second generation by Guido Gottschalk, operates primarily in all areas of civil engineering. 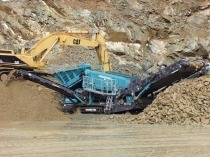 Moreover, since 1999, the company has been operating its own gravel pit. Besides the sand and gravel products extracted there, uncontaminated excavated earth is also backfilled at this site. It was back in 2002 when Gottschalk first contacted C. Christophel GmbH, a company based in Lübeck. It wanted to buy a new screen for the gravel pit in Leiffarth. The motivation was to be able to produce a sand to supply its own construction work involving the laying of cables. 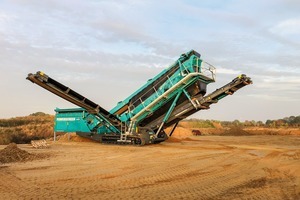 With the Powerscreen Chieftain 600, a suitable screen was quickly found for the project. 16 years later, almost everything is still the same as it was then. With the difference that the work has changed one slight but crucial way. The cable sands must meet much stricter quality requirements specified by the utility companies. 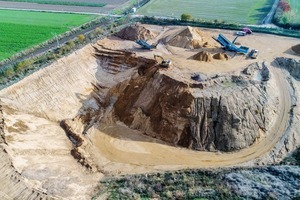 While up to now a sand of the grade 0 – 5 mm had been sufficient, now increasingly it has to be a product that meets the requirements of a 0 – 2 mm sand, with a maximum oversize content of 5 %. 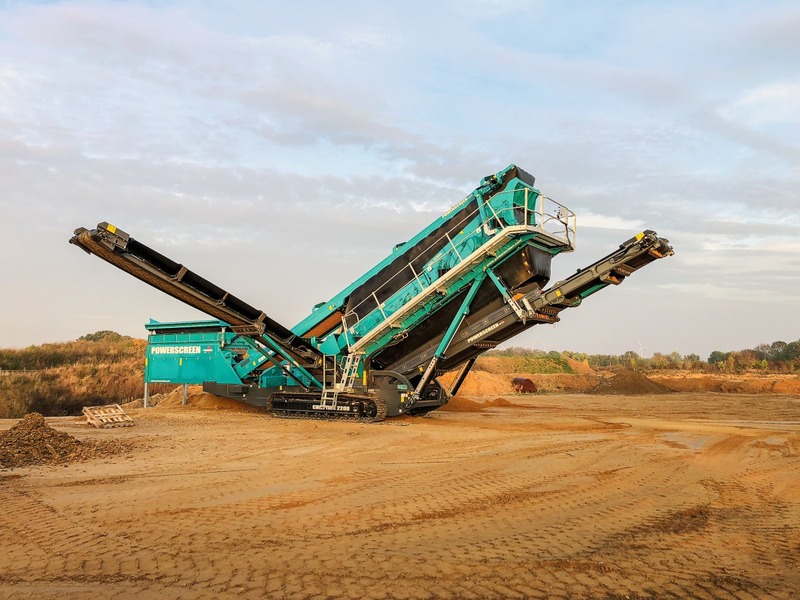 As these requirements could no longer be met with the old Powerscreen Chieftain 600 and the company wants to continue to work self-sufficiently with its own gravel pit, the company contacted Christophel again and selected the Chieftain 2200 from Powerscreen. 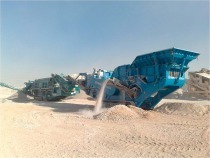 With two independently operating screen-boxes and a service weight of just under 38 t, the company is now armed with this “mobile screening factory” to meet any requirements that a sand and gravel deposit can throw up. The prospect of being able to use the two screen boxes arranged after each other forwards, backwards or as a free-vibrating screen gives the operator two possibilities to positively influence his products. 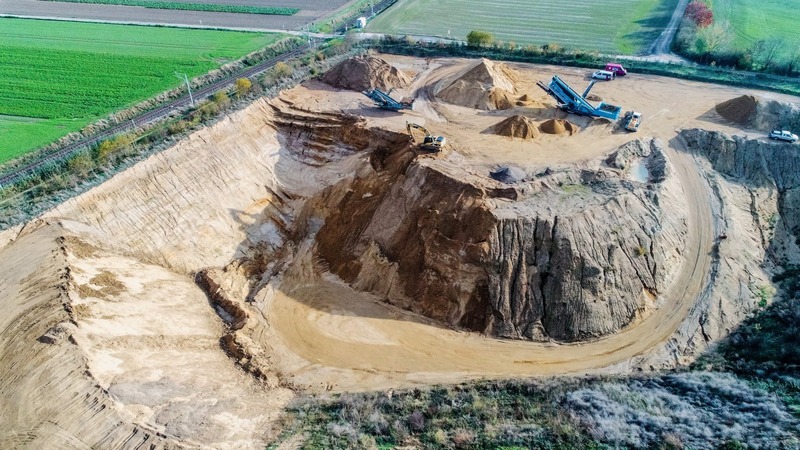 With a deposit that, like the one here, contains 60 – 70 % sand, it was crucial to have the above-mentioned flexibility to achieve an acceptable and high-grade throughput rate. The products 0 – 2 mm and 2 – 32 mm can now be produced with a total feed rate of 100 t/h. The annual total volume will still be around 30 – 40 000 t. But as described above, here it is not the capacity, but the quality of the product and independence that count.